balances precariously on a pedestal only 3 feet by 17 inches. looks like a cobra about to spit its venom towards unsuspecing prey. 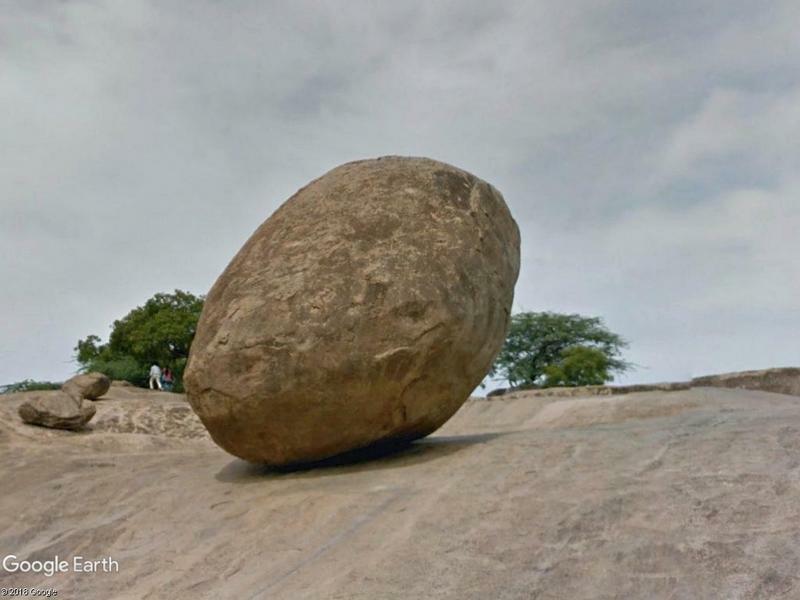 Krishna's Butterball in the historical town of Mahabalipuram in Tamil Nadu, India. 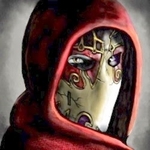 anytime I happen to bump into a balanced stone, the only thing I do is sending a PM with the location to CuriousJM to insert new-find into his collection of balanced rocks. oh, meanwhile the Butterball from India has arrived! Unfortunately Magaliesberg Mountain Range covers a large area and I couldn't pin-point the location of these rocks. I include in my blog only those rocks whose location is known. willi1 perhaps you can try to find the location. If you succeed then please add these rocks here and I will add these in my blog! ... perhaps you can try to find the location. If you succeed then please add these rocks here and I will add these in my blog! Thanks for the link. Unfortunately the Bluedot image is not very helpful. 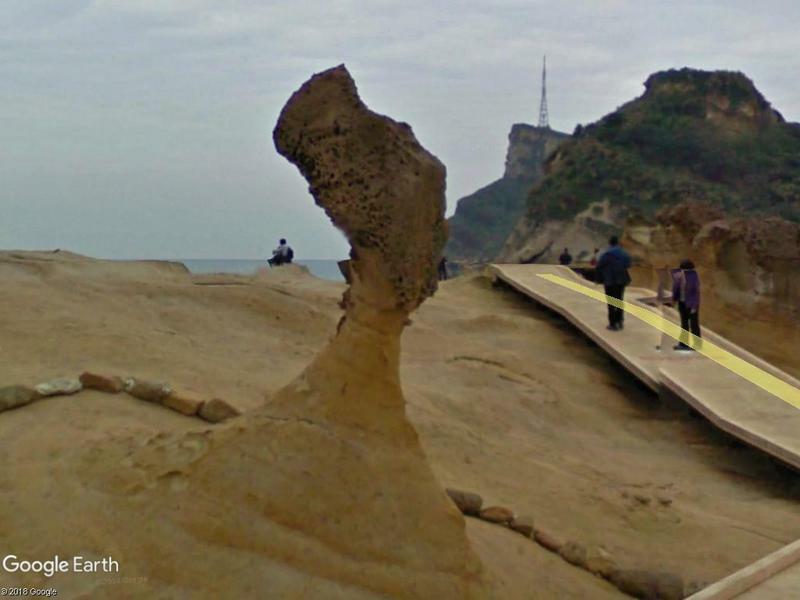 Another thanks for link to Yehliu Geopark. Yes, it is doted with rocks of unusual shapes. These rocks including The Queen's Head is already included in my Blog. 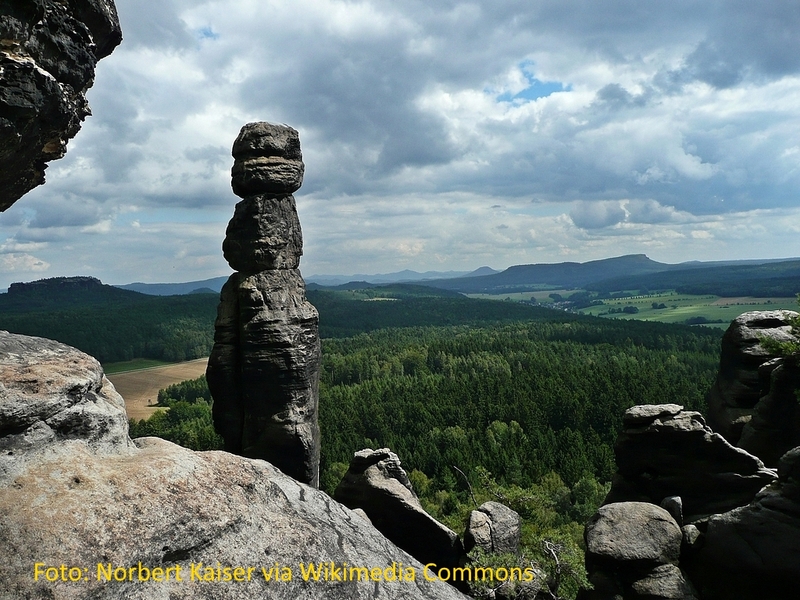 The Barbarine is the best-known, free-standing rock formation in the German part of the Elbe Sandstone Mountains. 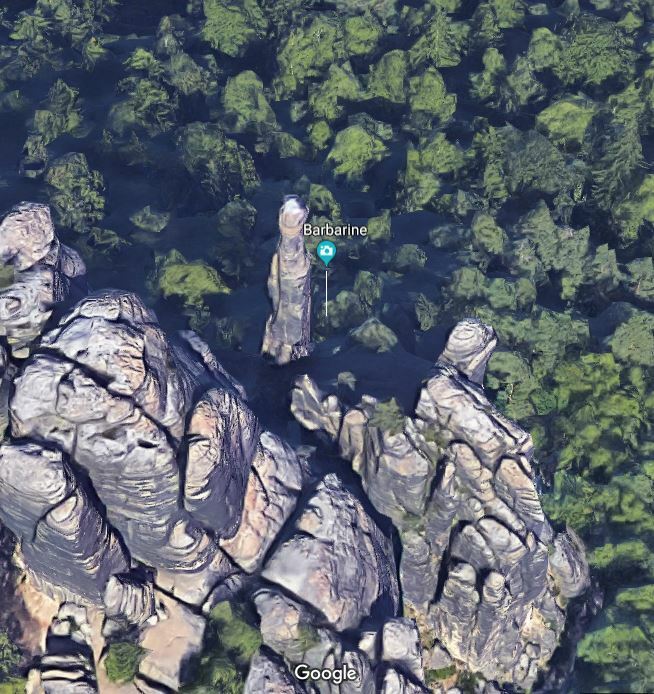 It is a rock pinnacle, 42.7 metres (140 ft) high, and is the symbol of Saxon Switzerland. It was first climbed on 19 September 1905 by mountaineers. The rock head was stabilized with concrete, as he threatened to crash. She's about 45 km as the crow flies from my home. 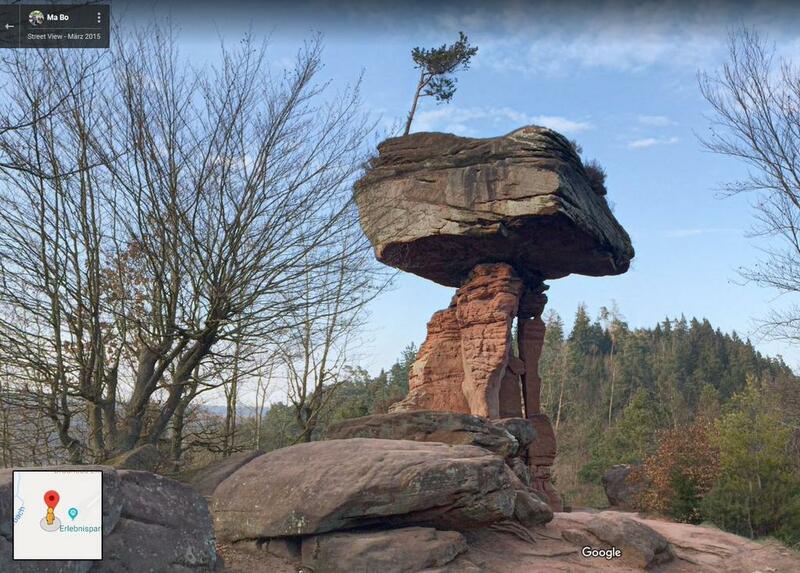 The Teufelstisch (English: Devil's Table) is a colorful sandstone rock at Hinterweidenthal (Rhineland-Palatinate, Germany) reminiscent of a one-legged table. By erosion, the softer surface components surrounding it were removed, while the hard rock core remained standing. Its weight is estimated at about 280 tons. Thanks for the information to CuriousJM ! Best, but man! - it will fall! and the time seems to be near! 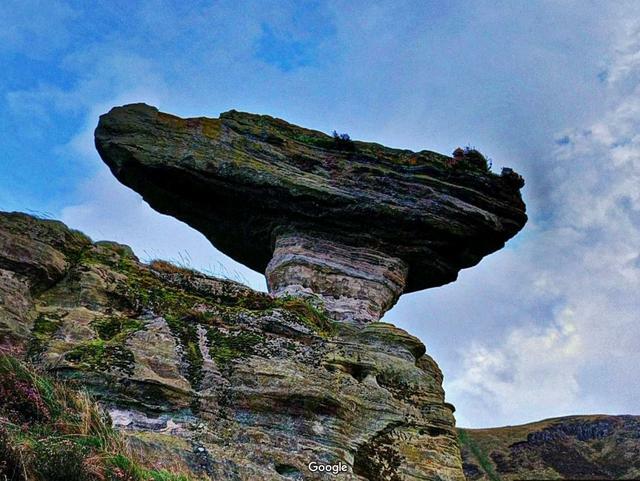 The Bunnet Stane (or bonnet stone) is a rock formation near the hamlet of Gateside in Fife (Scotland).